4k00:12Pollution concept. Smoke or steam discharged from an industrial chimney. Chemical contamination. 4k00:09Industrial zone with a large red and white pipe thick white smoke is poured from the factory pipe in contrast to the sun. Pollution of the environment: a pipe with smoke. Seamless cinemagraph video. 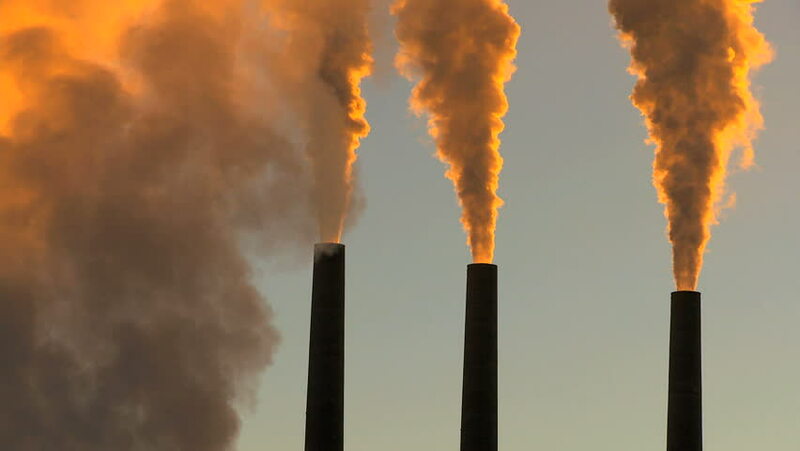 4k00:18Three industrial smokestacks spewing carbon dioxide pollution into the sky. Framed to side for use as graphics background. hd00:07Smoke from a power plant.